This keyboard is a great upgrade for anyone from the traditional plain keyboard. 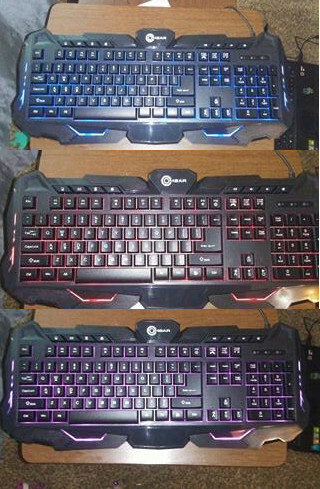 The Ombar Gaming Keyboard changes three different colors and you can set the brightness to your liking or even turn it off when you want. Gaming late night? No problem choose your color and you can see the keys more easily. The supports on this keyboard look very well built and sturdy. I don't think they will accidentally fall off no matter how hard you try. Your wrist will thank you for this. Colors include Red, Blue, or a Megenta tone.